I love to be surprised. Who doesn’t love a good surprise? Certainly not the anime industry, if this year is anything to go by. When I think back over the past 12 months, the overwhelming thing I remember is how often I was shocked or caught off guard by the quality of shows, in both positive or negative regards. It was a topsy-turvey year, where sure-fire bets spluttered out and unseen underdogs rose to the top in resounding fashion. And you know what? That’s really rather delightful. I’ve increasingly got less and less time for anime in my life, and the vast, endless slurry of generic pap that grows year on year seemed to validate that, but when something broke through it was so surprising and so pleasing it really made me sit up and take note. Speaking of which, let’s start with something that has been generic pap for so long that it was hard to see it ever rising to the level of event TV again – Pokemon. 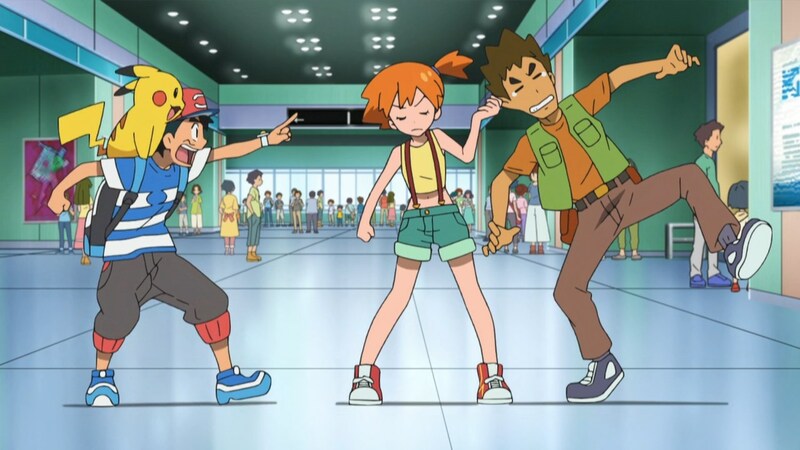 Ash Ketchum and his trials and travels have become cel-drawn comfort food at this point, generically cute and occasionally chucklesome, but so settled into a particular groove that it was hard to ever see it becoming essential viewing again. Yet with Pokemon Sun & Moon the team at OLM have produced one of the shows of the year, a goofy, charming slice of life adventure that builds on the franchise’s traditional strengths (cute mons, our own limitless nostalgia) and supplements them with better gags, a bigger and richer supporting cast, and, perhaps most surprisingly, some of the liveliest, most elastic hand-drawn animation going. It’s proof that a fresh team (both the head writer and head director are new to the position) and a willingness to be brave with the format can revitalise even a show with a two decade backlog. Speaking of which, Pokemon‘s peak this year was undoubtedly it’s delightful 20th anniversary two parter, calling back deep into the franchise’s storied past without ever taking an eye off of it’s bright tropical-themed future. Just a delight, and one that looks to continue into the new year. Embodying both ends of the spectrum of surprise were Time Bokan 24 and Classicaloid, which are linked in my head for plenty of reasons other than their concurrent airings. Both shows felt like educational projects gone wrong, milquetoast kiddie time fillers where whoever was meant to be at the wheel fell asleep and everyone else involved decided to just cause pure chaos. Classicaloid was the champion in this regard – Fish Schubert and Rapping Schubert were both insane masterpieces of surreal comedy – but Time Bokan 24 did its damndest, what with samurai underwear and fake moon landings. 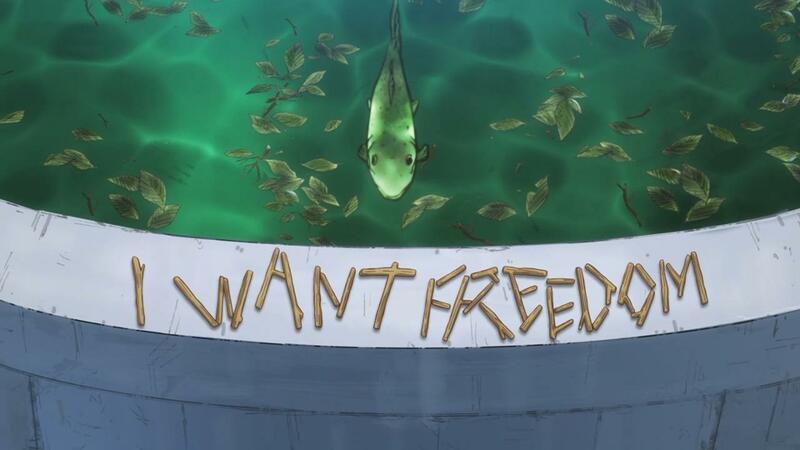 What was so great about these shows was the sense of liberation from traditional anime joke templates (though they had plenty of those as well) and an embrace of a lavish visual surrealism that recalled the heights of Osomatsu-san or Mob Psycho 100. They were great examples of underdog shows punching above their weight, and crews and creators doing more than was necessary to produce something of genuine value. Unfortunately, they also got to see the other end of the scale as both produced underwhelming, sterile followups that made their first season successes seem like even more of a flash in the pan. Time Bokan in particular felt like the suits finally caught up with the rampage of comedy bad history that so delighted in season 1, while Classicaloid 2 sorely missed the guiding hand of Yoichi Fujita at the helm. Speaking of more unwelcome surprises, it’s pretty shocking to me that the burning trash fire of Eromanga Sensei didn’t take the worst show award at a walk. In fact, it wasn’t even the worst show about wanting to copulate with your siblings, as the spectacularly awful A Sister’s All You Need came rampaging out of nowhere to take that prize. Moving back into the world of shows with vaguely tolerable taste, it’s hard to overstate what a letdown Rage of Bahamut: Virgin Soul was (and I’m one of the less upset people on staff). Flashes of the original’s wonderful pulp ensemble adventure occasionally shone through, but for the most part it was a disappointment, full of bland political hand wringing and tedious plotting. 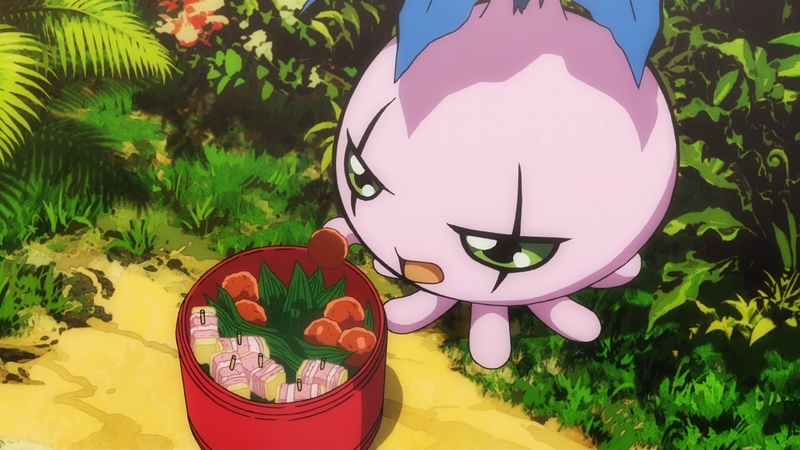 This was also the year that Digimon Adventure Tri finally collapsed into the mess many of us had feared it would be all along, delivering back-to-back installments of heavily padded, wonky looking garbage that delved into the most tiresome lore-heavy aspects of the franchise. Enough with the negativity, let’s get back to those positive surprises. Studio 3Hz proved their fantastic work on Flip Flappers wasn’t a flash in the pan with Princess Principal, a surprisingly nuanced, character focused spy drama. Bolstered by great artwork, a jazzy soundtrack, and an often compelling alternative world setting, the only thing which seemed incongruous about it was the very anime decision to make the spies teenaged schoolgirls. The superficial gothic waifu veneer covered a story by turns touching, brutal and funny, and confirmed the studio as one of the rising stars of the anime world. 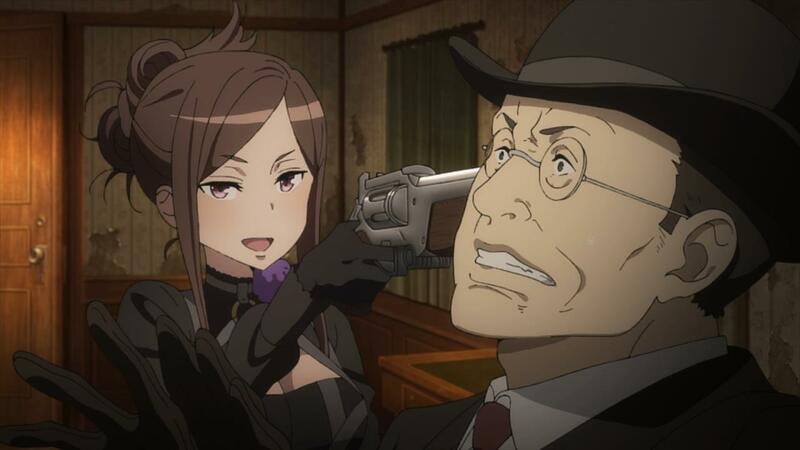 Elsewhere, there was a strong bounce-back season for GARO in animated form, with Vanishing Line returning the sense of pulpy adventure and knowing cheesiness to the franchise which the much maligned Crimson Moon had conspicuously lacked. 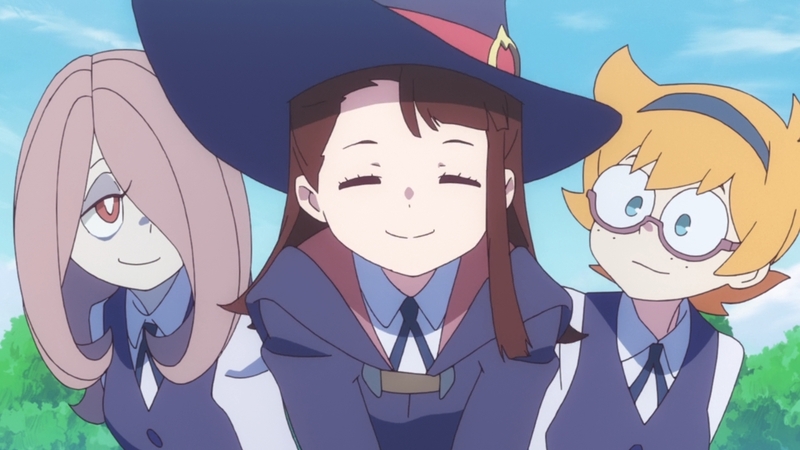 It’d be a bit of a stretch to say Little Witch Academia was a revelation, what with the two wonderful OVAs and Trigger’s by-now well established reputation as a quality studio. Nevertheless, I still have to say I found myself pleasantly surprised by just how delightful the combination of their superb animation and whimsical scripting could be. What was also surprising was just how rapidly the entire thing fell apart to a weak, underwhelming conclusion. It’s frustrating to see because the highs really were incredible highs, but ultimately the most surprising thing about Little Witch Academia was that what seemed like one of the year’s most sure-fire hits turned out to be something of an also-ran in my personal memories of 2017. 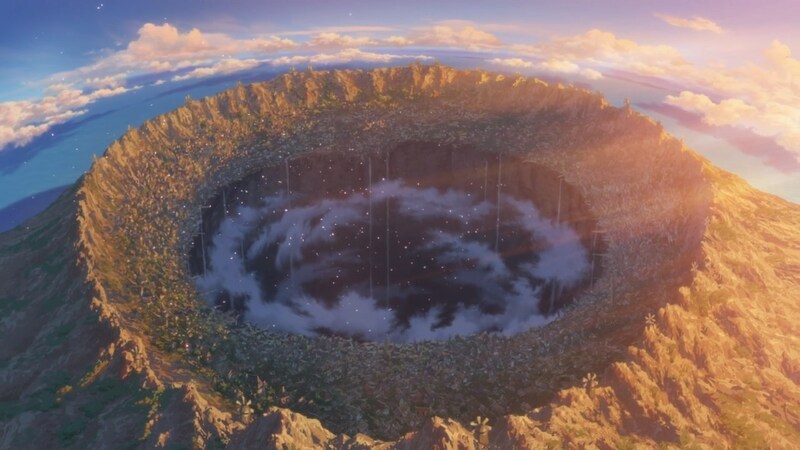 I think the only appropriate place to end this little walk down memory lane is with the show which defined 2017 in anime for me, Made In Abyss. Granted, Abyss didn’t come as a complete surprise, what with positive word of mouth flowing from the well-regarded manga original. Still, I think everyone at the blog was shocked by just how remarkable the story which unfolded on the screen before us was. What Abyss reminded me was that epic fantasy and powerful human drama didn’t have to be mutually exclusive concepts. The fantastical sights and sounds that Abyss put on-screen resulted in one of the richest and most fully realised mythological worlds yet seen in anime, yet it also managed to be an incredibly personal, emotional character story. These two differing identities didn’t bounce off of each other but instead intertwined so that each supported the other, heightening the tragedy, the joy and the wonder that came from accompanying these kids on their adventure. I never thought that an anime would make me openly weep, yet I found it hard to control my emotions throughout the whole of the finale. In a year full of surprises, that was the most wonderful surprise of all. Thank you everyone who read the blog and followed along in 2017, we’ll catch you all in the New Year.